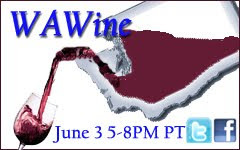 Thursday June 3rd you are invited to join a national on-line Washington wine tasting. On that night, thousands of people across the country will be discussing Washington wine live and on-line. The goal of this event - WAWine - is to leverage Social Media to connect the virtual wine tasting community and wineries across Washington State. WAWine is the second in a series of Washington wine-focused Social Media events. The first, WAMerlot, had over 500 participants on Twitter and 1,000 people at various events across Washington State. The event received local as well as national media coverage and was a trending topic on Twitter. This second event, WAWine, looks to expand on the success of WAMerlot with even more winery and consumer participation. WAWine also precedes a number of important wine events occuring in Washington in June, including Wine Rocks Seattle (which takes place later that same evening), Taste Washington! Spokane, (June 6th), the Seattle Wine Awards Grand Awards Tasting (June 13th), and the 2010 Wine Bloggers Conference in Walla Walla (June 25th to 27th). 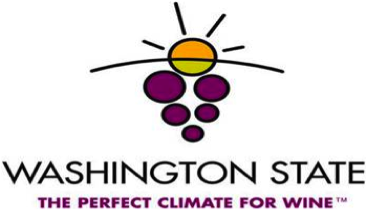 WAWine is sponsored by the Washington Wine Commission and Washington Tasting Room Magazine. Fourteen Washington bloggers and tweeters will be assisting with organizing and promoting the event. How Can I Participate If I am a Consumer? Participation is simple. All you need to do is buy one or more bottles of Washington wine (see list of participating wineries), open the wine on June 3rd, and use the Social Media tools listed below to join the conversation. You can participate at home with a group of friends or attend events at one of the participating wineries or businesses in your area (a list of known events will be listed at DrinkNectar.com). 1. Log on to Twitter at 5pm Pacific Time on Thursday, June 3 and follow the hashtag #WAWine. To be connected with other participants be sure to use the words #WAWine in all your tweets. 2. Log on to Facebook and join the community at http://facebook.com/tasteandtweet. You can use this page to upload photos, share your experiences and connect with others. Visit the event site for additional details. How Can I Participate If I am a Winery? Finally, if you are planning an event at your winery or joining at event at another location, e-mail me at wawinereport@gmail.com or Josh Wade at josh@nectarcoffeeandwine.com and let us know so we can list and help promote the event.